Finally Sam’s Scores has made a triumphant, yet brief, return to it’s maiden format, the article! Some changes have to be made as the video format simply isn’t working out very well for myself, as well as the complete and utter lack of anything worth buying that isn’t outrageously overpriced. In previous editions I loved to show off the price tags as proof that I was indeed getting a score, but nowadays I often buy things in bulk from the Goodwill Outlet stores. From now on most scores will be noted as bought from the Goodwill Outlet store as well as the bulk price paid, but when I do indeed get a score from somewhere I will do my best to show the price tag. Sadly the price tags on two of today’s scores were both on the back and were removed when I cleaned them. Normally I clean around them, take the pics I need for the article and then remove them after I’ve gotten what I need, but since it would do no good to simply show the back of the items I decided to just remove them anyway and toss them up, enjoy! Number 4 isn’t really anything to brag about, but it is a rare find none the less. 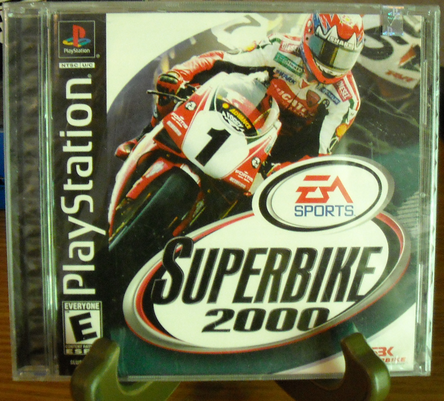 Not the game itself, no, but the fact that this game is still wrapped and sealed (note the hologram to the right of the helmet in the image), with the exception of the lower right corner being ripped. From the reviews I’ve seen of the Playstation version, which this one is, perhaps that is where it is most rightful to stay, forever! But finding it still intrigued me enough to warrant a purchase. 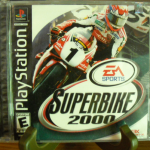 Superbike 2000 – Goodwill Outlet $.69 per pound = ??? Number 3 is an interesting tale of going back for something you wanted, but finding more than you originally went in for. I went into a Goodwill looking to find score #2 (see below), as I had previously passed on it, and couldn’t find it, but instead ran across this sad looking controller. The controller had damage on it and had been pried half open, as if some idiot couldn’t simply remove the 6 phillips screws holding it together. 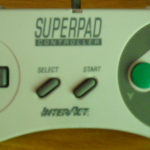 In the end I picked it up, and after a good cleaning, and careful reconstruction, the controller works great. 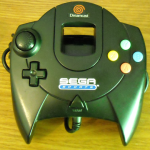 It also has a contoured back, making it quite comfortable to hold as well! As I mentioned above I had passed this one up but it stayed on my mind for a week, until it’s price tag color was half off. I hardly find anything related to the Sega Dreamcast, and even less related to the Sega Sports edition, so when I saw this at the price they wanted AND the 50% off, I couldn’t walk away a second time. 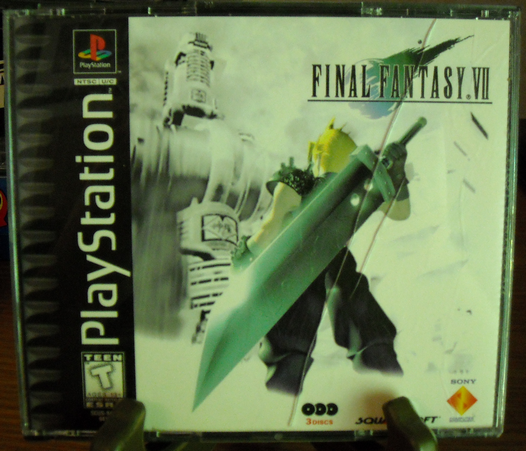 And finally, an original black label copy of Final Fantasy 7, with all 3 discs but no manual. I used to own this when they were between running out of the original stock and making up the green labelled “Greatest Hits” version. Personally I don’t mind either, as long as I can play the game, yet as a collector I’m glad I have the original version. 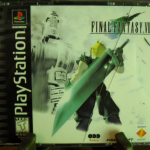 Final Fantasy 7 – Goodwill Outlet $.69 per pound = ?? ?